4-ply sarking membrane and roof lining membrane, reinforced. 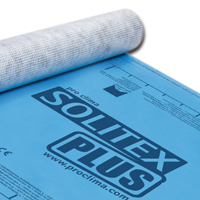 SOLITEX PLUS is the Next Generation of High Performance vapour permeable Underlay. 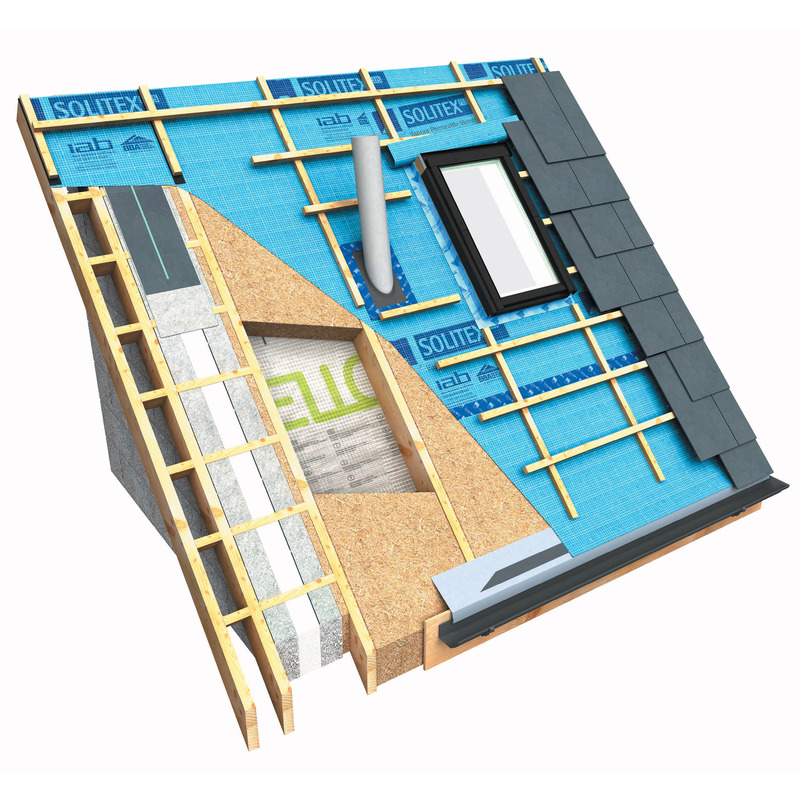 With an impressive range of characteristics such as high Vapour Permeability, Extreme Watertightness, High Nail Tear Resistance and Thermostability, SOLITEX PLUS offers superior protection against condensation risk and extreme resistance against pelting rain. SOLITEX PLUS, from pro clima, is a Diffusion-Open vapour permeable membrane. SOLITEX PLUS contains a monolithic membrane which employs Closed Cell Technology compared to conventional microporous membranes. Closed cell membranes offer superior weather tightness, and at the same time ensure that a significant amount of water vapour is actively removed from the inside of the building structure and diffused to the exterior. The combination of these two properties is the determining factor when it comes to quality and the safety of the roof construction. To address air leakage at separating floors a lap of tear resistant SOLITEX PLUS is often used. Extremely Water-Tight WI (BS EN 1928).